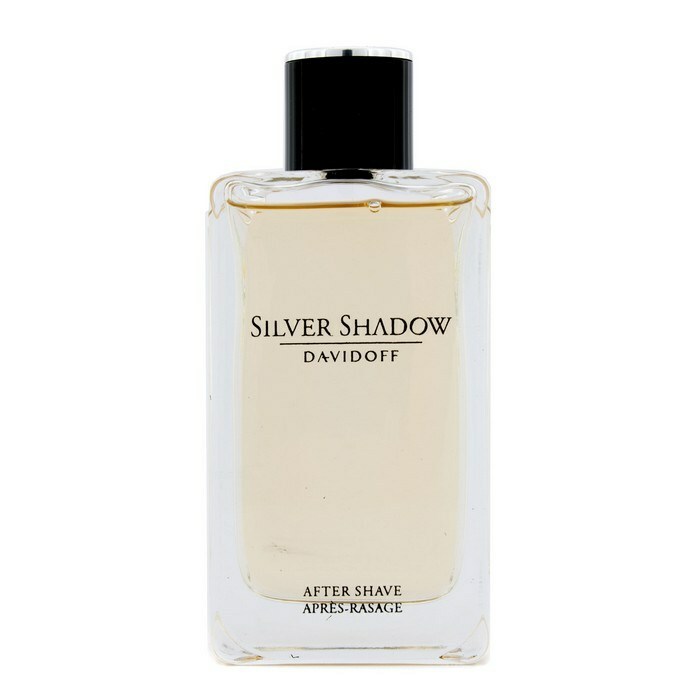 Silver Shadow (sounds like it should be an evil nemesis of Spiderman) was not a fragrance I had ever heard of until a raft of samples of the pure blend Eau de Toilette and regular Eau de Toilette came flying through the post. Despite the difference in name and price between the two blends, ultimately there is very little difference and therefore no need to write two individual reviews of the aftershaves. For the record I will be reviewing my thoughts on the pure blend Eau de Toilette, which normally comes in both 50ml and 100ml bottles that don't contain an atomiser - I still find it weird to apply aftershave without an atomiser, I always apply far too much. Prices range wildly as you would expect from online and high street retailers. Normally a 100ml bottle would cost in the region of £20 online with prices on the high street approaching the £40 mark. With the hindsight of smelling the fragrance I can’t help a wry sarcastic smile at the words ‘unforgettable fragrance trail‘. Yes, unforgettable, truly unforgettable! Functional, but very boring, the bottle doesn't really project the luxurious image it would appear Davidoff aims for. As I’ve said, the bottles do not have an atomiser, therefore the aftershave is simply poured onto the hand to apply. Personally this reminded me of days gone by when I used to play with (and empty to his displeasure) my dads aftershaves trying to feel grown up. It's been years since I'd used an aftershave where you had to measure out the quantity by sight alone! From the notes I had an idea that Silver Shadow would be a heavy fragrance, there were simply too many earthy ingredients for it to be anything else, but on application I was pleasantly surprised by the head notes, the orange citrus was overwhelming and the zest seemed to block out the coriander and cedar fragrances completely. I wasn't very liberal when applying either, literally a tiny amount of the fragrance was required to leave the room smelling like the inside of an orange box. This is strong and felt like an assault on my senses! Unfortunately, the citrus orange note faded quickly and only a faint undertone remained and this is in my opinion where the fragrance started to go horribly wrong. The coriander and cedar start to become overpowering, making what was a strong fragrance overly heavy and arid. There was nothing refreshing about the application or indeed the fragrance. Combined with the heart notes and finally the dry down of amber the fragrance become exceptionally heavy with no redeeming features. It was too warm and earthy with the oak moss being most evident. In an attempt to give this a masculine aroma, Davidoff have simply added too many ingredients that counteract each other and after around an hour I smelt like I had been camping in woodland for a week. Overall I was hugely disappointed with Silver Shadow. It is a hard wearing fragrance due to the heavy ingredients and lasts for well over 12 hours, sadly that is not a good thing at all. When you take into consideration the price, the fragrance and the fact that everyone you pass will look at you as though you have just murdered a close family relative I would not recommend this to anyone. If asked to describe Silver Shadow in a nutshell I would have to say that it is a bastardised blend of old spice combined with topsoil! Personally after using this once I decided that I would never ever wear it again, and I certainly would not shell out up to £40 for a bottle. If earthy, rugged masculine fragrances are for you then there is a slight chance that you will find Silver Shadow acceptable for daywear and possibly formal occasions. Silver Shadow is not luxurious, charismatic and mysterious, however it is unforgettable for all the wrong reasons. Hi Stephen, thank you for the kind comment on my camoaign post, and offering to help in the future, it's very kind of you! You have a great blog, I've never come across one like yours before, beauty from a males perspective, keep it up!